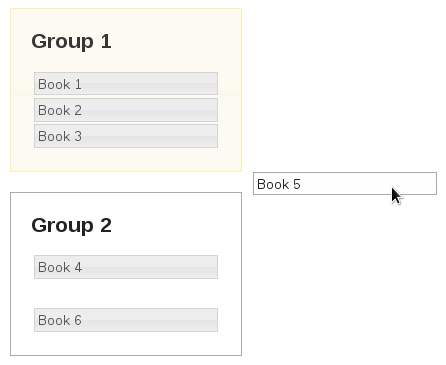 The draggable and droppable jQuery UI interaction components are cool. But it turns out that after a recent experiment, I discovered a few things I had gotten wrong with the widgets in the past. For example, reverting the draggable back to its original position on a failed drop, highlighting the droppable target while dragging, and changing the state of the draggable while dragging. These are just the visible behaviors that help the user out. There are a few things I'd got wrong with the code in the past too, so I've put together an example to illustrate some fundamental principles when working with these interactions. Check out the comments in the code. //has been moved to another parent. // position is an important usability behavior. // the state of the element while being dragged. // yet, this creates all of them. 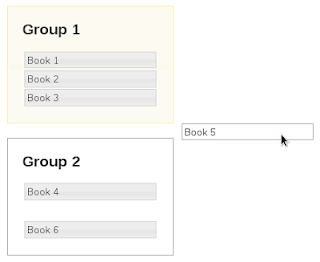 // Create the two droppable group divs. // some styles that we no longer want or need.